When your menu will include fresh fish or chicken, you may need a place to drain and thaw items without leaving a puddle behind. 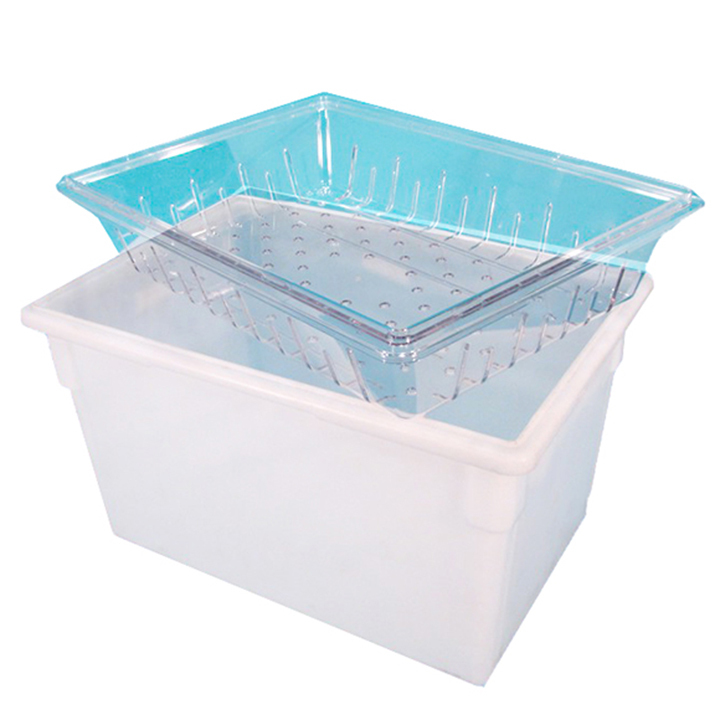 Our "Plastic Tub Strainer" provides the ideal surface. 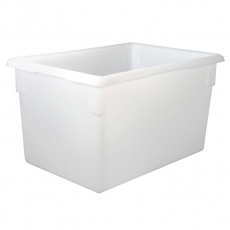 For a perfect fit, pair it with one of our "Plastic Ice Tubs." 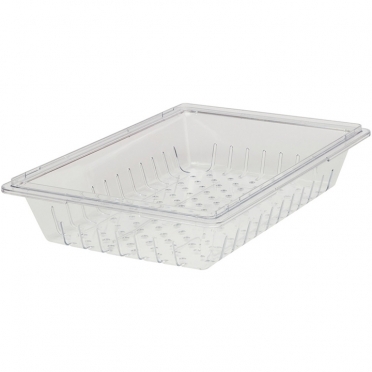 Thanks to the clear design, you will easily be able to view other products inside of the tub. 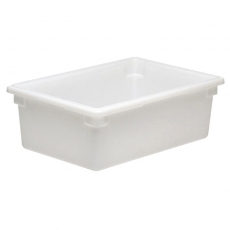 Your kitchen staff is sure to appreciate the durability as well.